He describes partially and inadequately his experiments, the article raises more questions than credible answers. His key finding is a chart of ‘measured’ loss (we assume given in that way to be Matched Line Loss (MLL)) in several deployment scenarios. Let’s focus on the simplest of those, the suspended in open air scenario. The first thing that will occur to informed readers is that charted MLL decreases with increasing frequency. dielectric loss which INCREASES proportional to frequency. 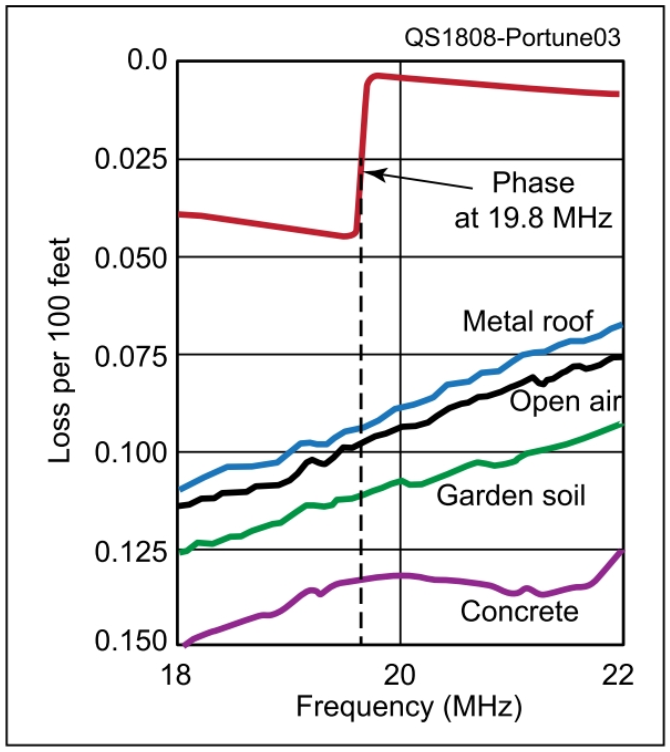 The nature of practical windowed ladder line products at 20MHz is that the loss is dominated by conductor loss, so loss increases only a little faster than the square root of frequency. The charted loss decreasing with increasing frequency is contrary to what should be expected and the write up does not address that inconsistency credibly (some mumbo jumbo about “reactive loss”). 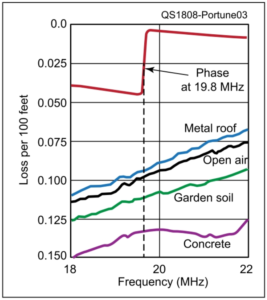 So, lets set the slope aside and look at the magnitude of MLL at 20MHz. The chart indicates about 0.093dB/100′. Seminole is a manufacturer of windowed ladder line, perhaps the only manufacturer. Their datasheet gives physical dimensions and velocity factor for their 1318 product and from that we can calculate from first principles, the MLL at 20MHz of a line of those properties with zero dielectric loss and we come to a value of 0.237dB/100′, dielectric loss would increase that by a very small (and insignificant for these purposes) amount. Wow, Portune’s foam addition reduces MLL by more than 60%. that loss is more than 60% less than that of the windowed ladder line alone. Update: Portune’s article went on to win the QST Cover Plaque Award — given to the author or authors of the most popular article in each issue… make of that what you will.